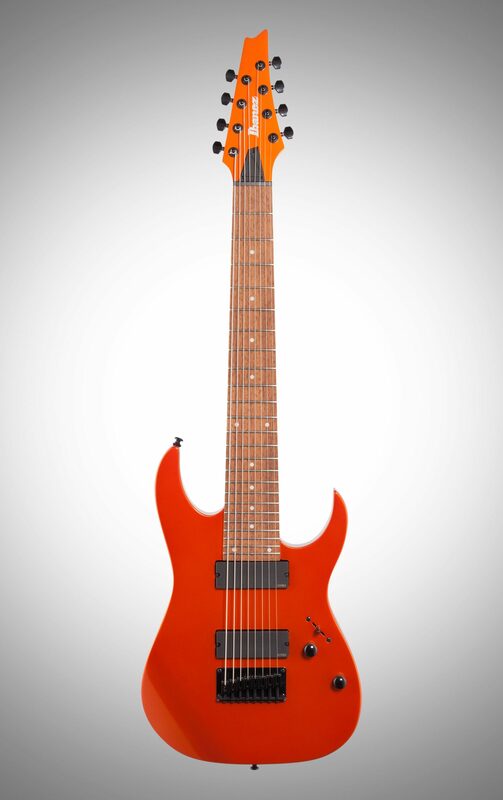 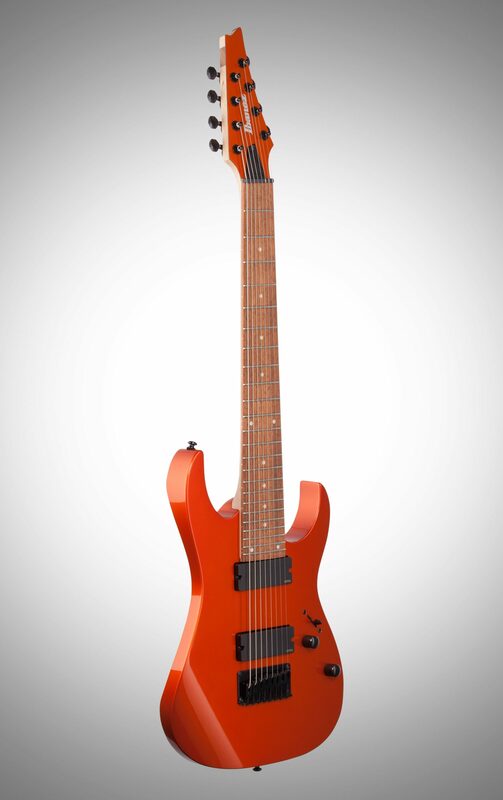 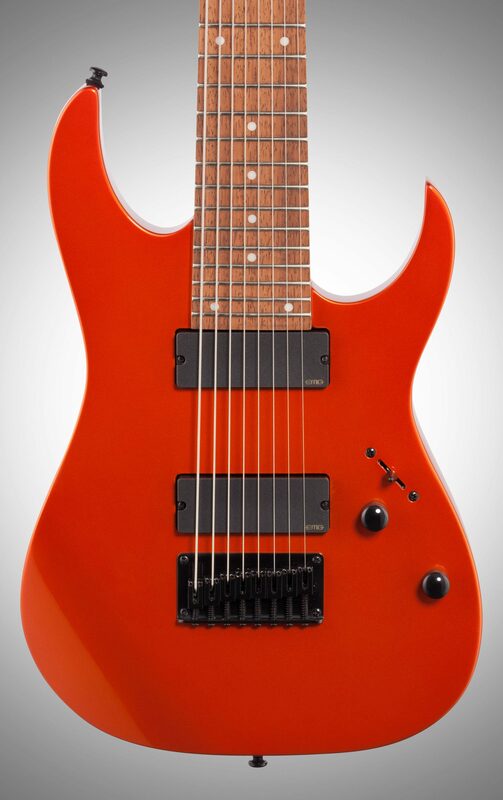 The Ibanez RG80E features a 27" scale-length neck, unveiling a plethora of down-tuning possibilities. 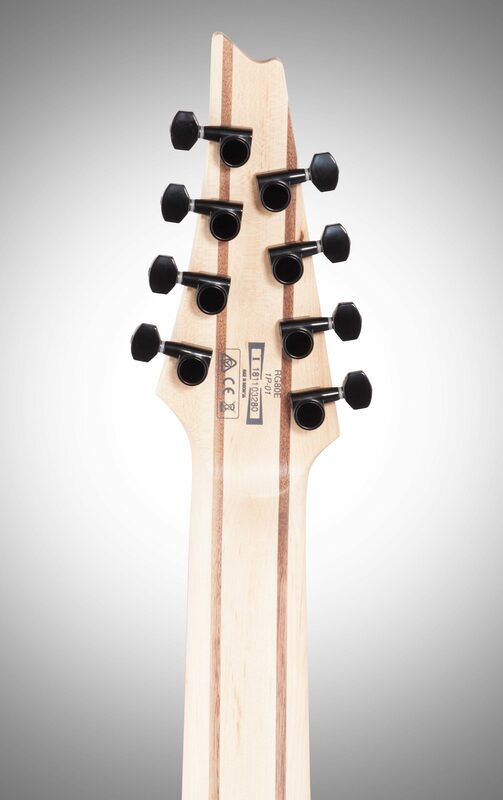 The Jatoba fingerboard, inlaid with classic white dots, enhances the RG80E's visuals and its jumbo frets enable all the wild string-bending you can manage. 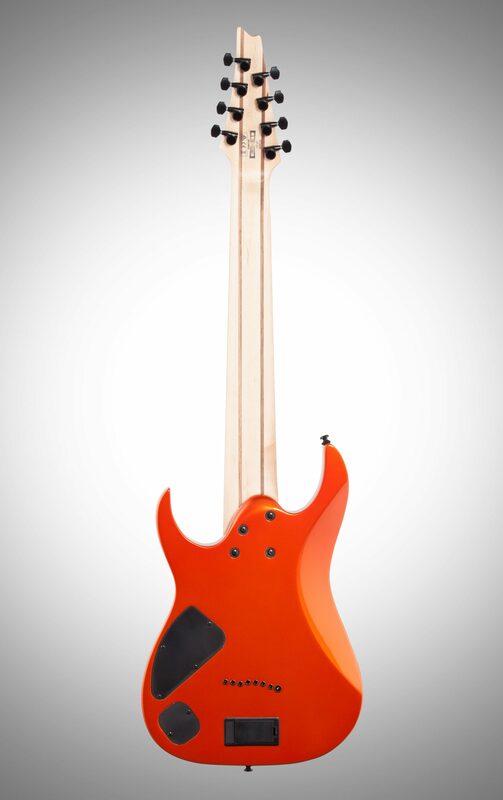 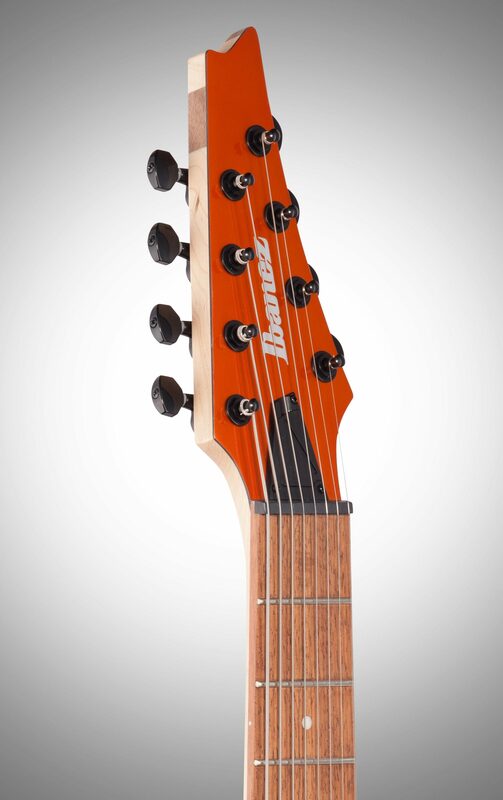 As the originators of the thin, fast neck, the Wizard II-8 neck is yet another achievement for the Ibanez design team in terms of comfort that translates into maximizing player performance. 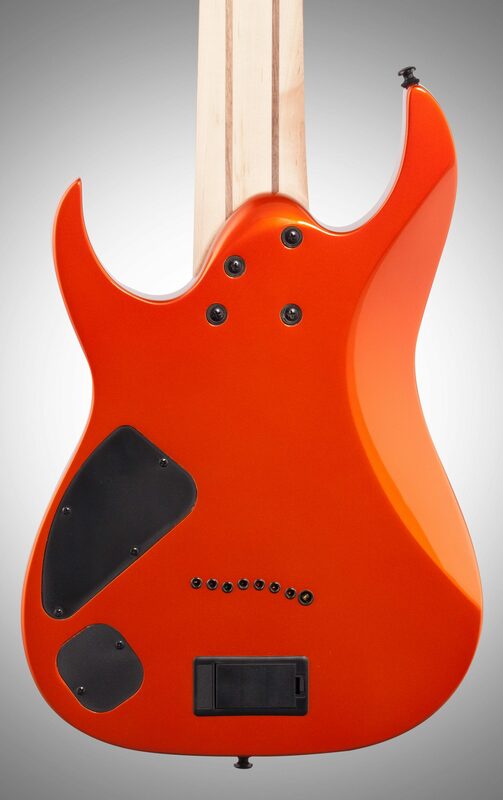 The EMG 808 pickups offer plenty of sonic diversity and power. 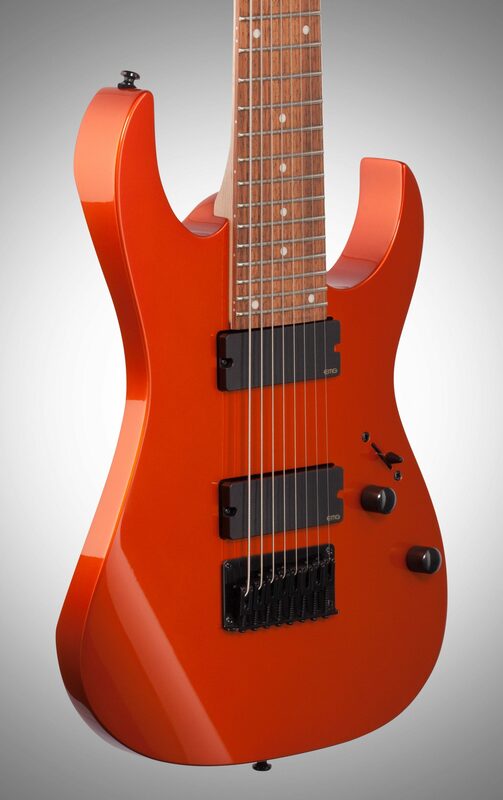 The Fixed-8 bridge boasts a low profile design, allowing plenty of picking hand freedom while optimizing tuning stability.